I was requested by Jackie to do this quilt for her BUT she wanted it quilted as though it had been long-armed. She brought up a quilt to show me the kind of thing she would like….hmmm I said I would give it a go for her and do my best. 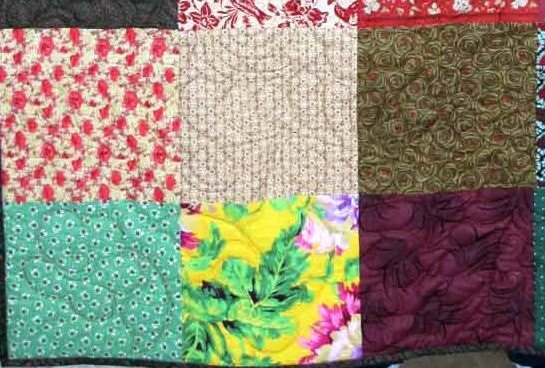 Long arm quilting is totally different to domestic sewing machine quilting as they have all that lovely room to be able to swing the machine about. I on the other hand have that 4 1/2″ throat space with which to maneuver the quilt around. See the difference. 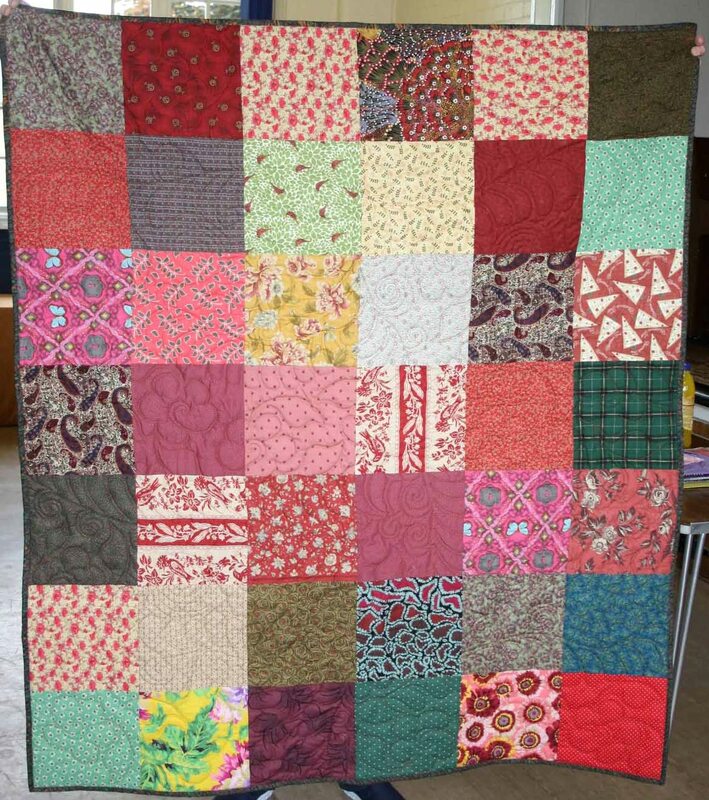 Any way, after joining the rather funky backing fabric she had brought up to use, I pinned the quilt up. Should have used a lot more pins than normal of course, I know that NOW I didn’t until I started to quilt it. You see as I was trying to emulate a L/A design, I was doing a big sweep of the pattern I had chosen. A flower, leaves, swirls and feathers, maybe a tad ambitious but that’s me all or nothing! I can tell you I did an awful lot of frog stitch on this quilt, but then again I learned a lot from it too. So here it is, I do hope you can see the design I did, the photos are not that good I am afraid. The quilt is lovely but hmmm I have to admit I don’t like the quilting…Jackie knows, good job she does. 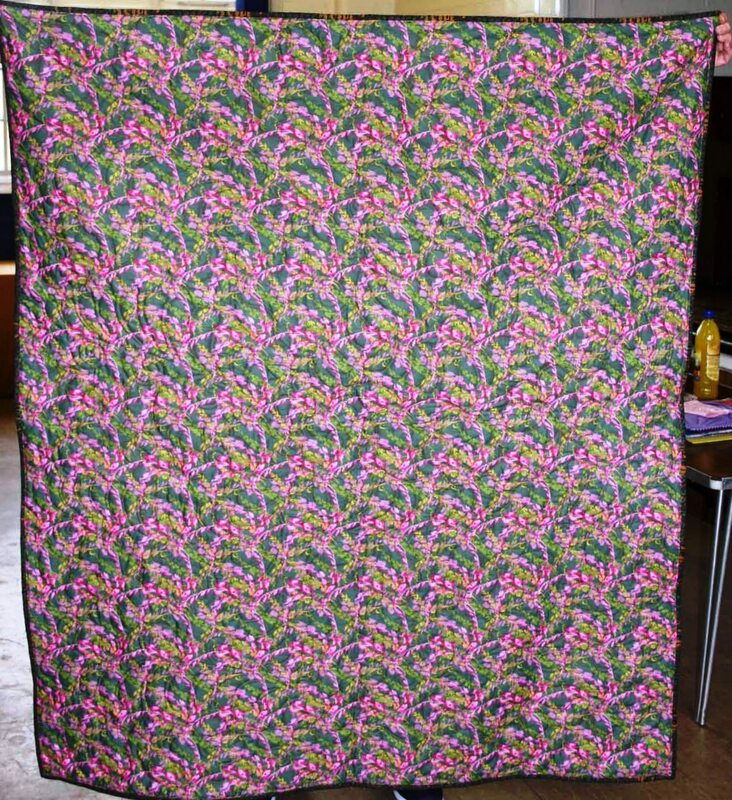 I had a lovely email from her the other day saying she hoped I would try this on another quilt as she feels I ought to. Jackie, I will. The back – can you see the join???? Thank you Jackie for letting me loose on yet another of your gorgeous quilts, I do appreciate it. I hope your table quilt gets lots of use.